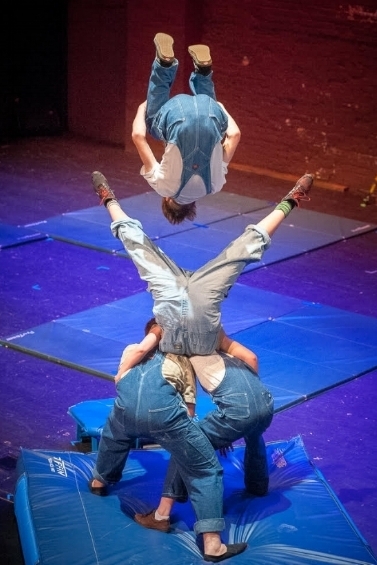 Stage Flight Circus Arts is a studio committed to building community through physical activity. We offer a wide range of classes. Whether your goal is to get fit, acquire a new skill or become a professional acrobat, Stage Flight has plenty to offer. We have a very experienced staff who love working with people of all ages and abilities. Sign up for our email list to receive information about classes, events and special promotions. Give the gift of circus! Gift Certificates are a great way to help someone make the leap and try out one of our classes. We follow the MCCSC school closings, if schools are closed then we will cancel classes. We will not cancel classes in the case of a delay. If there is severe weather on a weekend causing us to close, we will email everyone in the weekend classes and post closings on the website. If you have any questions feel free to contact us directly at stageflightcircusarts@gmail.com.